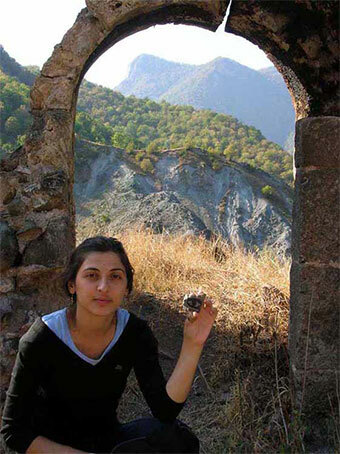 My name is Nona Shiroyan, I am from Armenia, Yerevan. 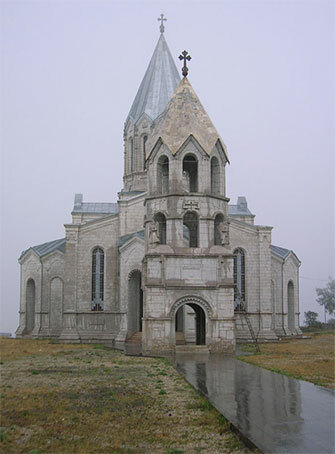 I have found out about your project and was asked to make some photos in Karabagh. Hope, you'll like them and will place them in your site. To see the photos check attach. Yes, that is Nagorny Karabakh or Artsakh . The word ''Nagorny'' means mountain or hilly, but it is in Russian. So usually we just say Karabakh. Kara means black and Bakh means garden (in azerbaijani). 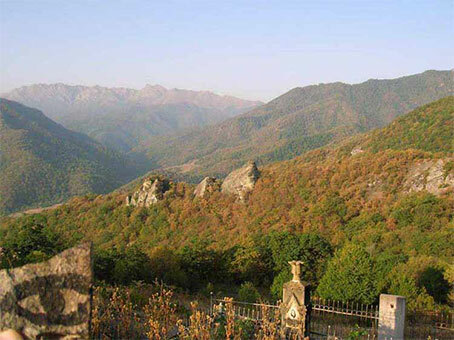 Real Arminian name of this palce is Artsakh. Yes, I've got the stone fom the filmmaker you have met in Germany Ashot Shiroyan. Actually, he is my uncle. Although he lives in Sweden he has send the stone with my sister, who bring it to Yerevan (Armenia). So the stone have passed a long way from Sweden to Armenia and after it continued it's trip to Nagorny Karabakh with me. 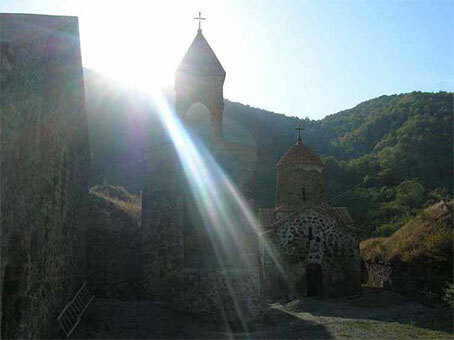 It also has traveled all over the Karabakh being in Dadivank, Gandzasar and eventually in church Khazanchecoc (the white one) in Shusi (former center of Karabakh). You can see it on a photo attached. I have placed it in the yard of this church. And it is still there. I had an opportunity to check it out being there again few days ago. If you'll have some more questions feel free to ask them.